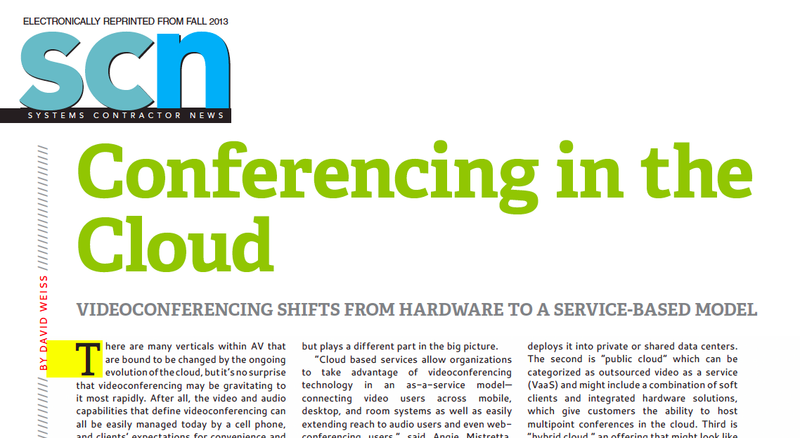 HB Communications has identified the growing importance of a cloud based video collaboration strategy. We are committed to helping our clients deploy the best strategy for their collaboration needs. Ted Thompson, HB's CTO recently contributed to an article in SCN magazine reviewing some of the advantages and challenges of cloud and hybrid cloud solutions. Click on the image below to read this article.